Attention! Attention! 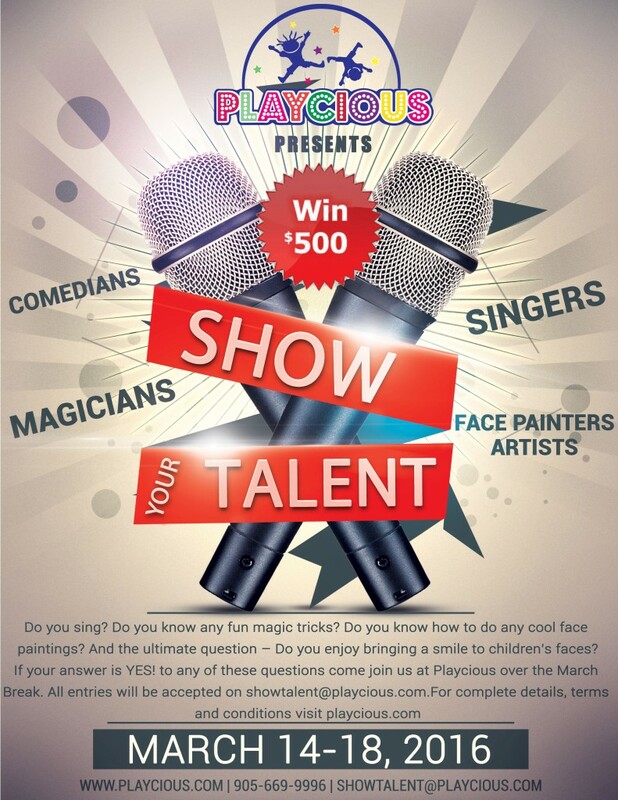 Playcious is calling all local talents! Show your talent for a chance to win a $500 cash prize! Do you sing? Do you know any fun magic tricks? Do you know how to do any cool face paintings? And the ultimate question – Do you enjoy bringing a smile to children’s faces? If your answer is yes to any of these questions come join us at Playcious over the March Break (March 14th to the 18th) for a Talent Show with a $500 cash grand prize. Please send us a your profile at [email protected] and the selected candidates will be able to join us that week for the Talent Show Contest! To select and short list candidates. To refuse or stop any performer. Only winner in each category will be awarded $500 in cash prize, also you will get chance to perform in-front of Playcious players.